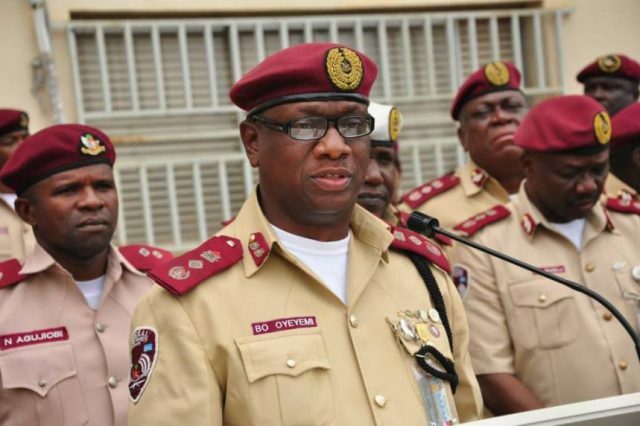 The Federal Road Safety Corps, FRSC has suspended Ayodele Kumapayi, its sector commander in Rivers State, for cutting female officers hair with scissors. Photos of the controversial disciplinary action, which came during a routine parade exercise, circulated on the internet on Monday when it was uploaded on its Instagram page. The FRSC spokesperson, Bisi Kazeem confirmed the suspension on Tuesday morning of Mr. Kumapayi alongside other officers who had allegedly participated in the act.